As a state legislator in Wyoming, Bryan Pedersen helped author the bill to legalize and regulate MMA in his home state. This weekend, he will test that bill by fighting at the Colosseum Fight Series, the first fights in Cheyenne since the bill passed. 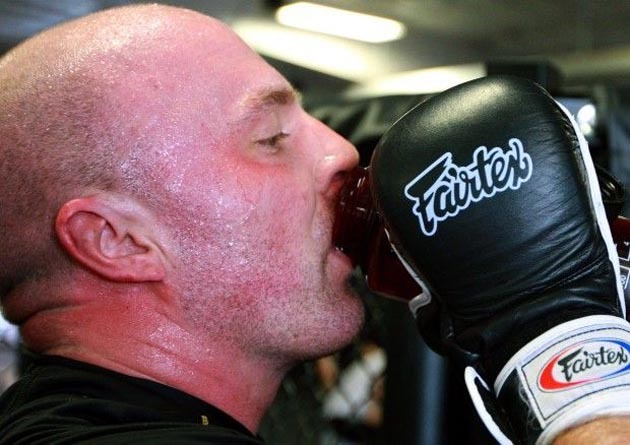 Pedersen, who is 38 years old, has trained in MMA for the past four years. Like many fighters, he originally tried out the sport for fitness reasons only. But once MMA was allowed in his state, and Cheyenne was set to host fights, Pedersen couldn't help but say yes to an offer to fight on the CFS card. "This is not something I normally do," he said to the Wyoming Star-Tribune. "But I really believe in the sport." He served for six years in the Wyoming state legislature. Now a financial consultant, he plans on making this both his debut and retirement bout. The weigh-ins will take place at a familiar venue for Pedersen -- the steps of the Wyoming State Capitol Building. Pedersen is taking the fight seriously, as he drives an hour and a half daily to Easton Training Center in Colorado, the training home of UFC veteran Eliot Marshall. "I have a goal," he said. "Without a goal, you wouldn’t do it. It creates a sense of urgency and panic. Because every day I’m not training, my opponent is probably getting better. And I’m not." He's the latest government official to set his sights on the cage, though Pedersen appears to be taking his fight more seriously than the two mayors in south Florida who are planning a bout. Perhaps MMA should become part of the legislative process.